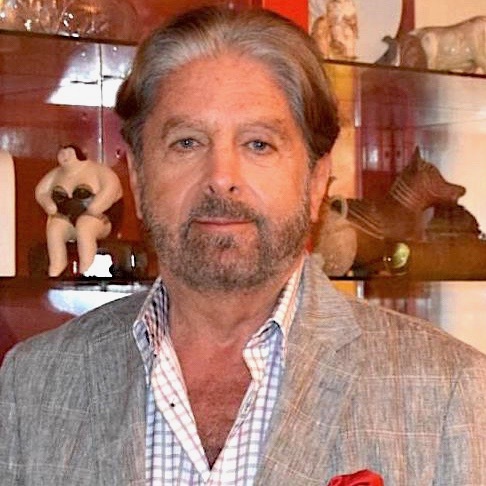 Canetti Design Group was founded by internationally renowned designer, Nicolai Canetti. The success of Canetti Design Group comes from the rich and extensive design experience of its founder. Fluent in several languages, he has had a rich career that spanned the globe, receiving international acclaim and numerous design awards. Canetti formed Canetti Design Group in New York City in 1984, as a vehicle to manufacture, market and distribute its own designed products. This way he could control the quality of every product to the smallest of detail. Well ahead of its time, Canetti has been an innovative force in every category of the home and office product design, from clocks to bags, to desk accessories, picture frames to furniture and phones, with many others following his lead. Since the beginning of his career Nicolai Canetti has believed that the general consumer deserves to own, use, and enjoy well designed, functional items on a daily basis, and not only viewed when visiting a museum. Canetti continues to design and create new products that will thrive well into the future, while improving the quality of life of its owner.